These are places of particular interest to me. I've visited and studied these places in hopes to find any paranormal activity that might occur there. Located on the dirt Parker's Ferry road in Jacksonboro off of Hwy 64 on the way to Walterboro, South Carolina. The Pon Pon Chapel was the first Episcopal church in St. Batholomew's Parish, established in 1706. 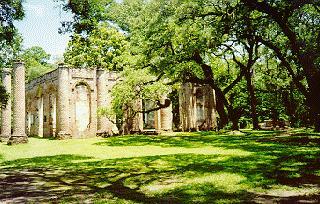 Th ruins of Old Sheldon Church are located on Old Sheldon Church Rd. off Hwy 17 near Gardens Corner, South Carolina. Once Church of Prince William's Parish, built between 1745 and 1755. The British army burned it in 1799 during the Revolutionary War. 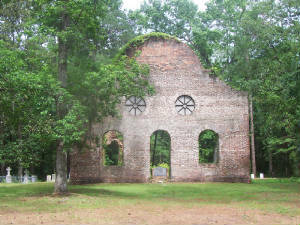 It was rebuilt in 1826 and renamed Sheldon Church of Prince William's Parish, only to be burned again by Sherman's soldiers in 1865 during the Civil War. 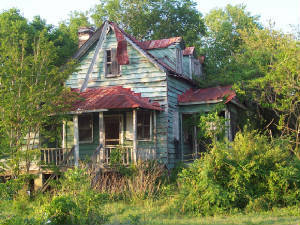 The Hutchinson House is the oldest freed slave house on Edisto Island.